French police arrested a man Monday following a high-speed car chase on the runway at Lyon airport after he rammed his car into a terminal and drove through the building. There he rammed automatic glass doors near the main entrance to Terminal 1 and drove through the building, injuring a worker and smashing through another set of doors before emerging onto the runway, where he was chased by about a dozen police vehicles as well as a helicopter. A video posted online showed the vehicle slamming into the terminal building, as well as the view afterwards of the broken doors on either side. It showed the car hitting a bump at one point, being lifted off the ground by the impact and then landing again in a cloud of dust, movie style. After continuing for a few metres the driver abandons the car while it is still moving and attempts to flee on foot. He dodges several police vehicles before being wrestled to the ground by officers. 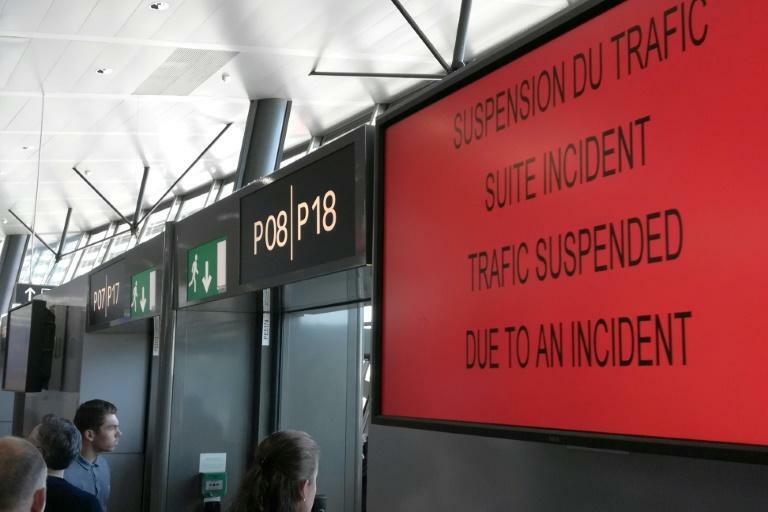 The incident prompted the suspension of all flights in and out of Lyon Saint-Exupery airport, France's third largest. The prosecutor's office in Lyon said the 31-year-old man faced charges that included attempted murder, relating to the injuries sustained by the worker. Paris anti-terror prosecutors have been informed of the incident but they have not opened an investigation. "We're at the early stages of the inquiry, and we're in touch with the Paris prosecutors who will decide whether or not to investigate based on the facts that emerge," the Lyon prosecutor Marc Cimamonti said at a press conference. He said the car was "almost certainly stolen", with a source close to the inquiry saying it had Luxembourg license plates. The airport's operator suspended all flights after what it termed an "incident", before announcing on Monday afternoon that flights were "gradually resuming" and expected to be back to normal around 6:00 pm (1600 GMT). But several passengers said they had not been informed about what was happening. "While we were waiting on the runway to take off the pilot alerted us that there had been a 'major incident' and the airport had been closed," Martial Leveque, 59, told AFP. "He told us we had to stay onboard for security reasons," he added, saying passengers had to wait an hour and a half before they were allowed to exit the plane. France has been on high alert after a series of jihadist terror attacks in recent years which have resulted in nearly 250 deaths since the massacre at the satirical Charlie Hebdo magazine in 2015.